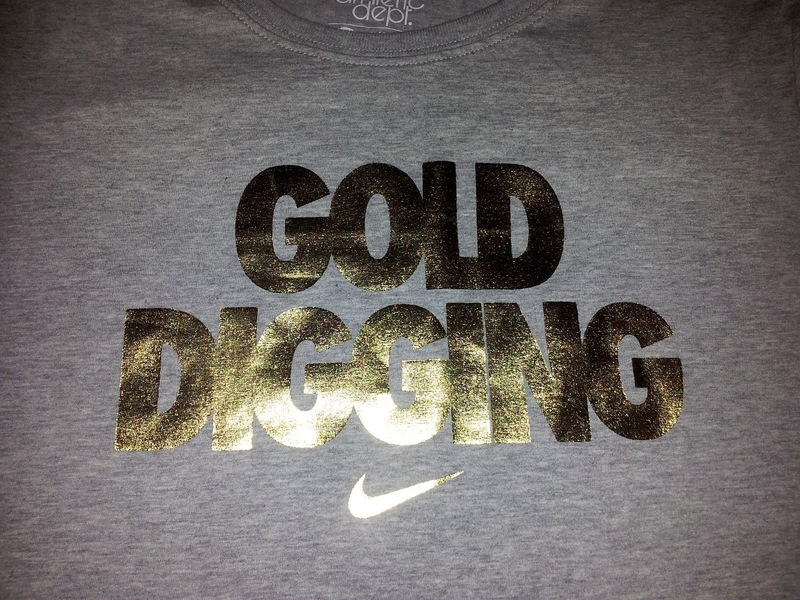 This is going to sound weird, but I go to my local Nike store 3 times a week….. I go there to work out as they provide Nike Training Club classes as well as a yoga class. They have some really decent clothes, not only for exercise but also for casual wear. I succumbed to temptation on Monday without so much as a second thought. The trainers were originally £80 but were on sale for £40. I had been looking for a spare pair of work out trainers and these just happened to be at a right price in the right colour. So badly I wanted that when I was told that they had only a size 6.5 (US 9) I still tried them on – and they actually fitted well (despite being half a size smaller)! 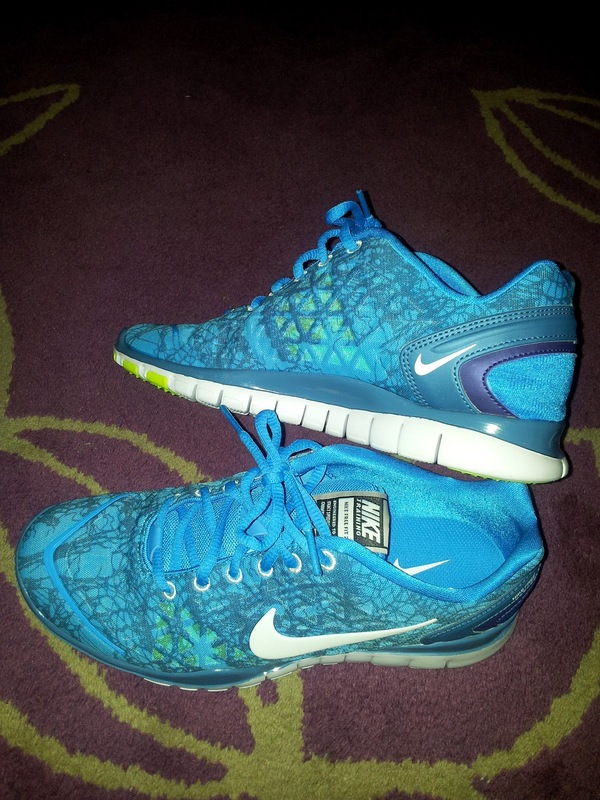 These trainers were meant to be mine. I love t-shirts in general; I felt that the above t-shirt would be welcome amongst my growing collection. This was also 50% off, so the purchase was all the more sweeter! LOVING THE NIKES! what a great buy! 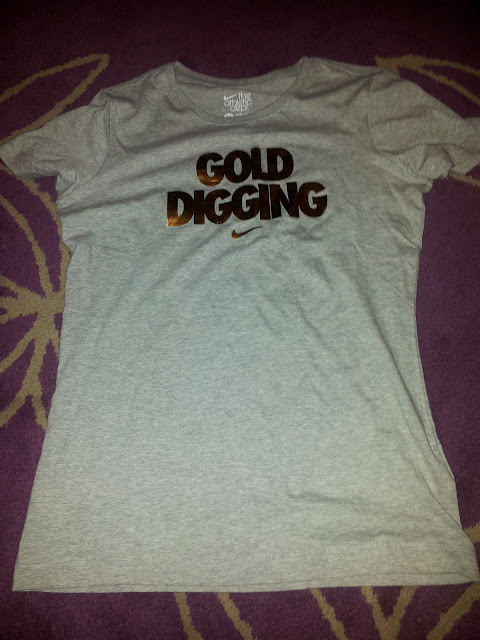 I would have never imagine Nike would produce a 'Gold Digger' Tee Shirt. 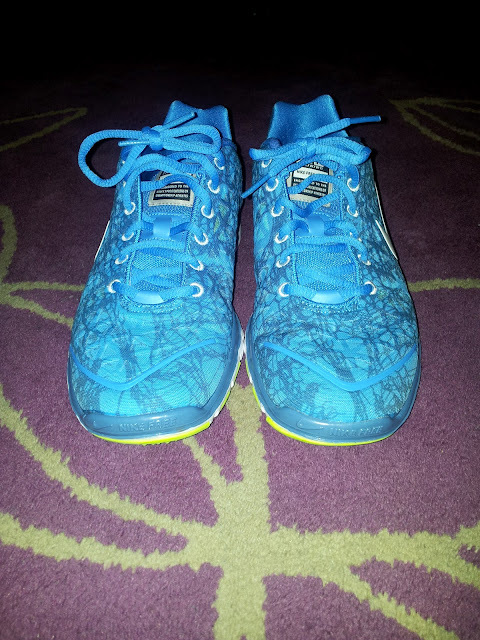 And my new workout trainers were 80 pounds too! I was like geesh!!!! I love this, I always decide I am going to buy new exciting running shoes.. because it will get me to the gym... but it never works! regardless LOVE YOURS! 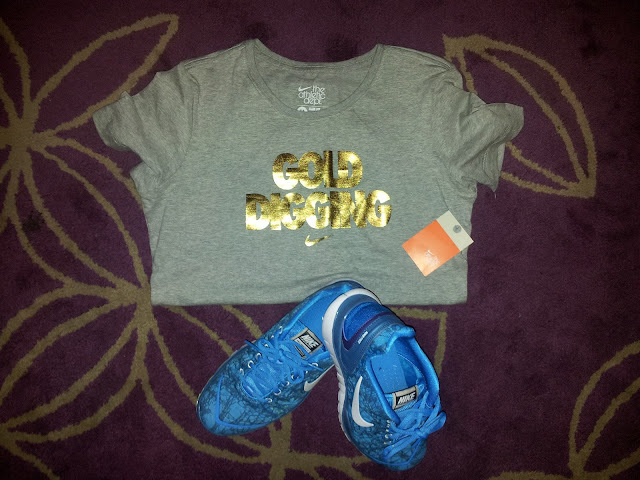 Love the Nike items, especially the shoes. In general, I love the Nike Women's collection. I try my best, but like you I succumb to their sales all the time.